Cost Effective Maintenance recommend and use only test procedures that comply with strict engineering standards, and can be scientifically validated. These include Carbon Mass Balance (AS2077-1982), SAE Type II Truck Test, Specific Fuel Consumption, Bosch Smoke Test, Bacharach Smoke (ASTM D2156-63T). at a Queensland minesite. The procedure and results were validated by the mine’s project manager, Operating Excellence Dept and the maintenance superintendent. 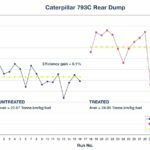 In SAE Technical Paper Series 831204, Parsons (Finning Tractor & Equipment) and Germane (Brigham Young Univ) studied 3 large fleets (heavy earthmoving, bus and mining). 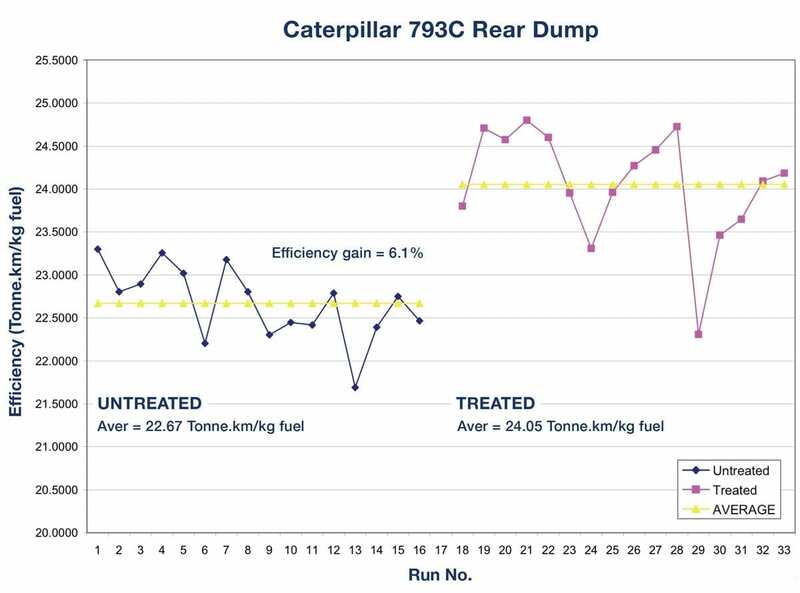 Statistical analysis of the fuel consumption demonstrated energy efficiency gains in the 7 to 8 % range.